At Texas Hatters, we take pride in each hat and hatband that we make and want to make sure that we do your order per your specifications. Please allow at least 2 weeks for your order to be completed and an additional 1 week for shipping time. For orders outside of the USA, please allow the 2 weeks production plus another 2 weeks for shipping time. Shipping fee includes shipping, packaging, handling and insurance (where available). All packages will be sent signature required, unless you request otherwise. We like to make sure the right person gets your order and in good condition. PLEASE NOTE: We ship everything insured for the Retail Value of your item(s). For orders shipping outside the US, all declared values must match the actual amount of the item(s). All orders within the U.S. are shipped via UPS, unless otherwise requested. All overseas orders are shipped via United States Postal Service, unless otherwise requested. 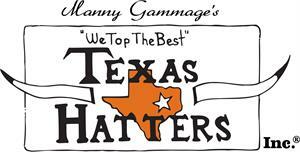 Thank you for shopping with Texas Hatters!